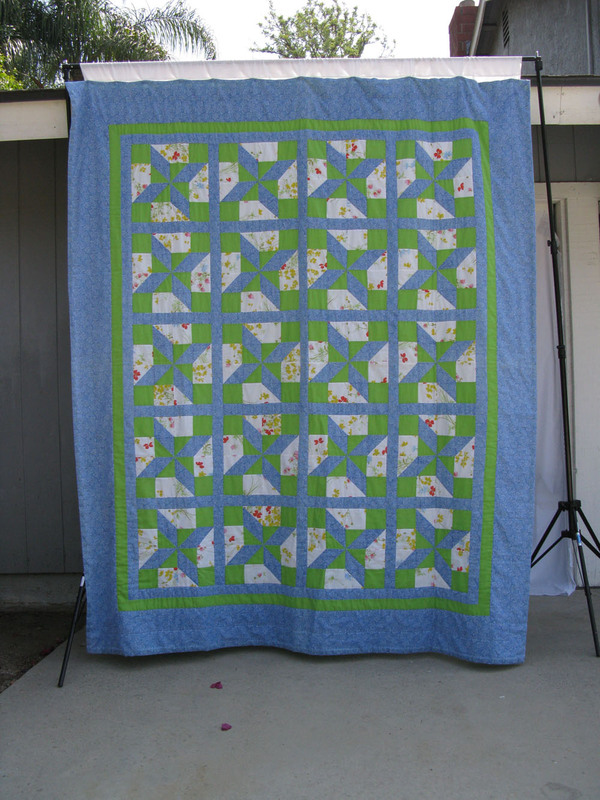 Posted on January 14, 2014 by Elizabeth E.
I have two links up above, one titled “100 Quilts List” and the other “200 Quilts List.” It’s been interesting to be able to say with some accuracy how many quilts I’ve made over my lifetime, but I didn’t start those lists when I first started quilting. 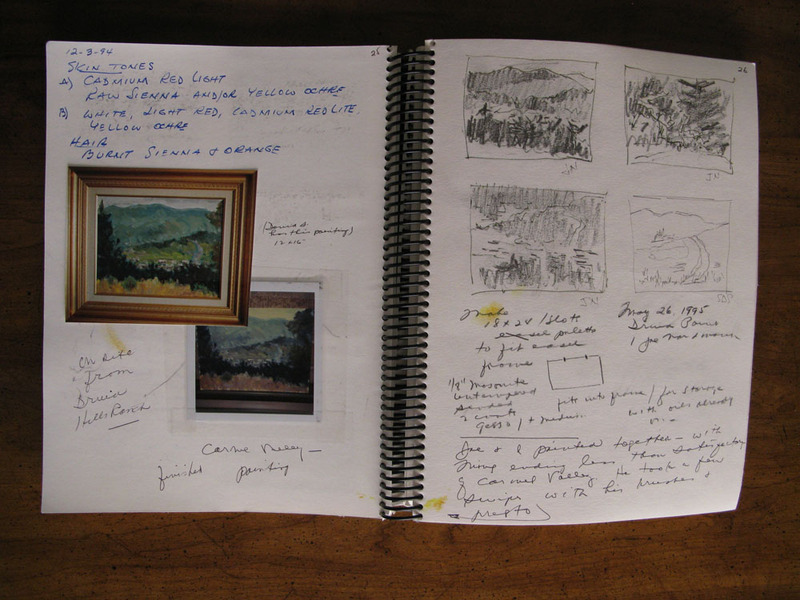 Those lists began because of my father’s journal of his paintings (this is one volume of five), which are a record of how he created them, colors he chose, inspiration, sketches. My friend Lisa also had a quilt journal and when she showed it to me, some time ago, I was in an insanely busy time of life and thought I could never do such a thing. But life changes, from busy to not-so-busy, and as an experienced quilter, I began to want a record of my work in this life that didn’t vanish under dust or dirt, or disappear into a student’s backpack, never to be looked at again. I began quilting in my twenties, some four decades ago, so that was a lot of quilts to account for. And once I started my journal, I wanted it to be accurate, a habit that has come about because I am married to a scientist, and we are all about accuracy in this house. I started making a list, pulling photos from albums, and bugging my children to let me come and photograph their quilts. That’s my oldest son, Chad, above. 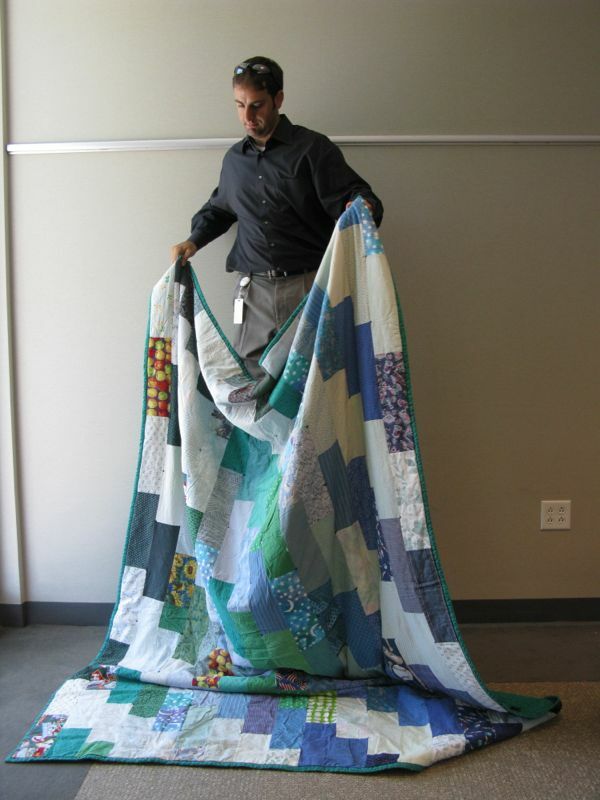 We met one day at his work and we laid out the quilts he had in the conference room, so we could photograph them. 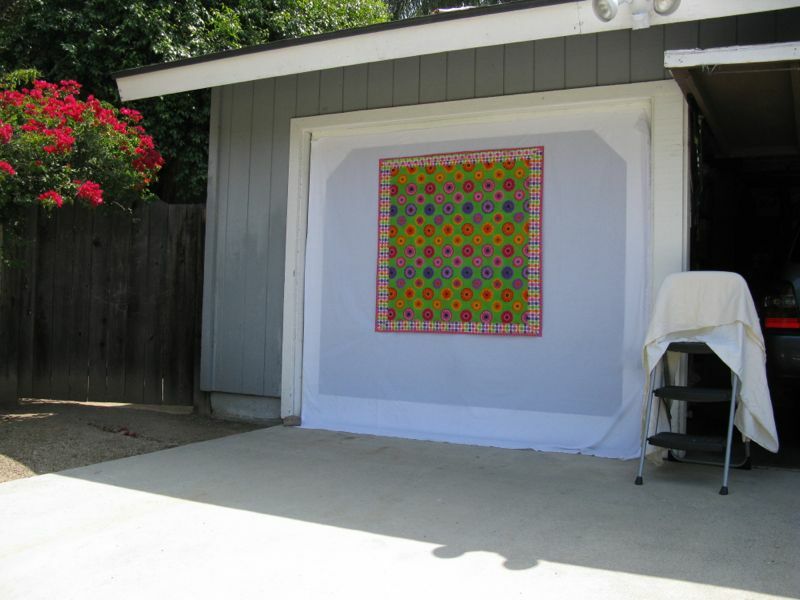 At that time, we had wooden lift-up garage doors, and I stapled a white sheet to the front, set up a table and gathered every quilt from what I had in our house to photograph. I pinned the quilts as straight as I could to the sheet and waited until the sun had moved off the door, so I could get an even tone (adjusting for the shadow). It took me about three days, and the neighbors were quite entertained by all my going up and down the stepladder, photographing the front, turning the quilt over (you see a back up there), and then a few close-ups here and there. 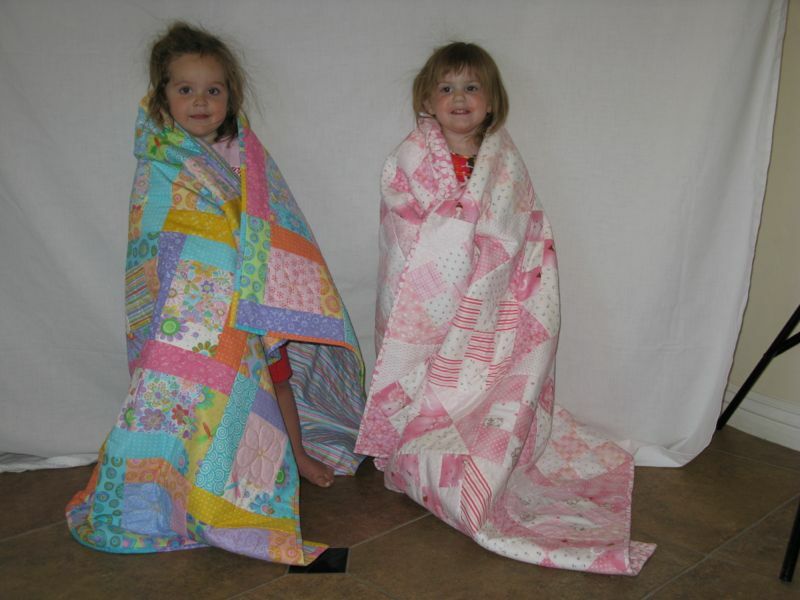 Another time, I drove to Arizona, where two of my children lived, set up a borrowed frame and pinned and photographed, over and over, with grandchildren watching, finally being allowed to wrap up in their baby quilts. I started going through all my digital photographs, looking for quilts. 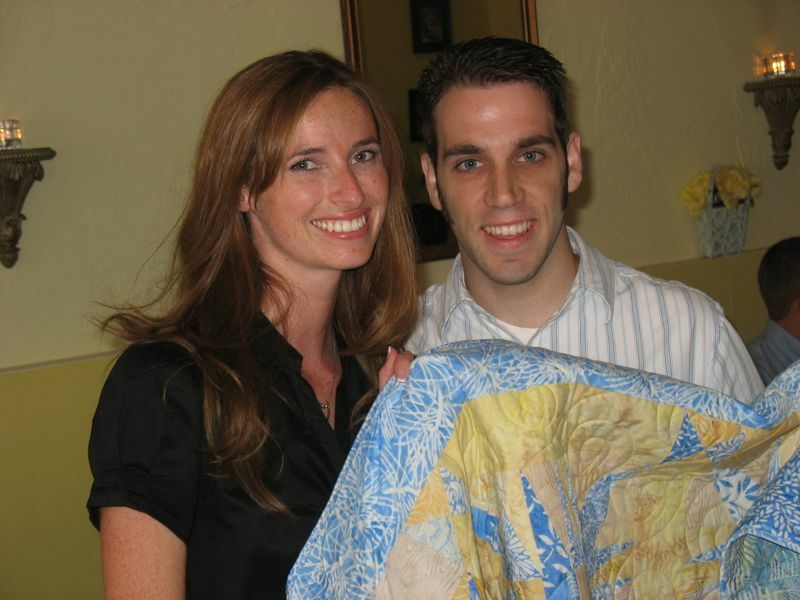 Above are Peter and Megan the night before their marriage, holding a quilt I gave them. And from all these sources, I started compiling my list in a simple spreadsheet. Where I had dimensions, I put them in. Dates were critical, but I decided to keep it just to the year. Was the quilt labeled? Photographed? I noted that too. A couple of quilts are gone forever, but I remembered them, and tried to put them in where I could, numbering and re-numbering. I decided to only include finished & quilted tops, but I know Thelma, of Cupcakes and Daisies counts hers by pieced tops. However you decide to count yours, I would encourage you to start writing down what you have accomplished. I guess the biggest pay-off came from me when I came home from Arizona with those frames and was able to photograph some of the larger bed-sized quilts that I couldn’t accommodate on the garage door. This is Clay’s Choice. The first big quilt I’ve ever made. My husband helped me put it up on the frames and I stepped back a bit to photograph it, then looked up from the camera to really see it. This was the first time I had seen my quilt off of a bed, all arrayed in its beginner-quilter glory. I paused and studied it–the white floral sheets, the solid greens, the Clay’s Choice triangles in a dainty blue print spinning around, each in their own block. I remember tracing around cardboard to get those shapes, stitching the blocks, and hand-quilting it over several years on a small portable frame. I looked at it, all the memories of the making, here, visible in this fabric concoction, never needing to be dusted, or re-done, or rewritten. This quilt, nearly 35-years old, captured all of that in its pieces, waving back and forth in the late afternoon breeze. “Everything okay?” my husband asked. Oh, yes. Everything is just fine.